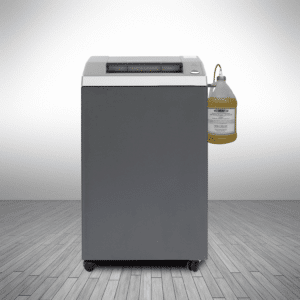 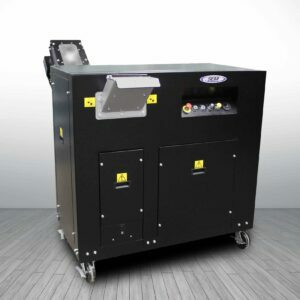 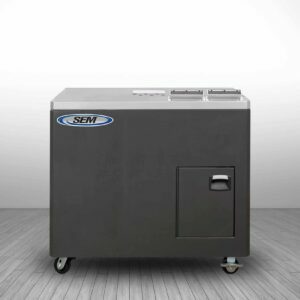 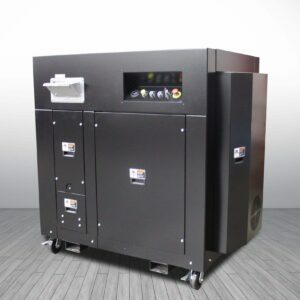 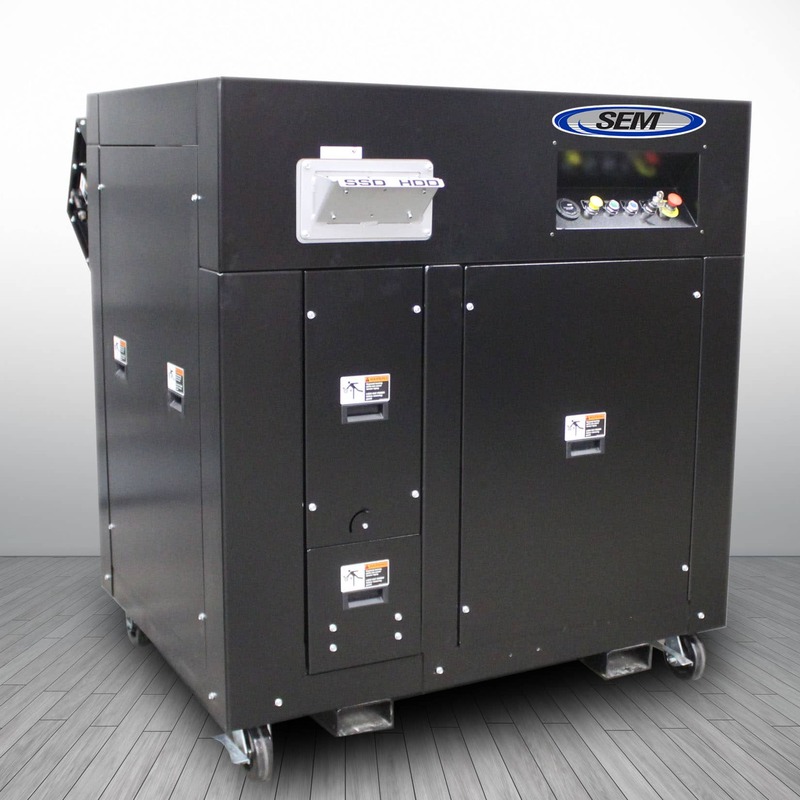 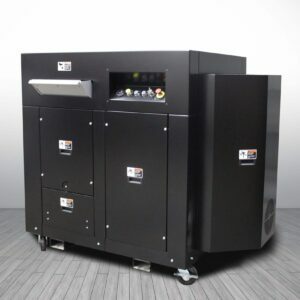 The Model 0304-HDD/SSD Combo Unit for the destruction of rotational/magnetic drives and solid state drives has a 20HP, slow speed, high torque shredder that includes two separate feed openings. One designed for rotational platter based hard drives and the other for solid state hard drives/devices. 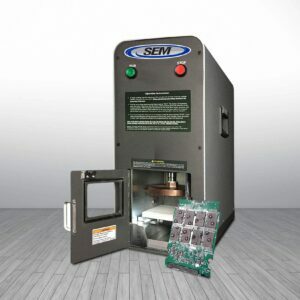 The system uses specially designed saw tooth hook cutters to chew up the rotational hard drives at 1.00″ particle size and/or solid state hard drives and devices with a particle size of .375″ wide (small enough to ensure destruction of data storage chips used in all SSDs).